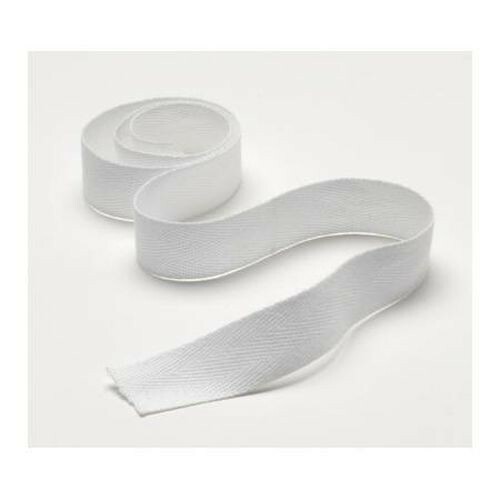 Valley Product's Cotton Twill Tape works perfectly for securing dressings such as wound dressings or foam dressings without a border. The ribbon style allows you to wrap around the bandage multiple times, ensuring a proper seal. The cotton fabric also ensures durability and versatility, allowing for multiple uses including repairing hospital gowns. The cotton twill tape comes in three widths and measures 108 feet when completely unrolled.